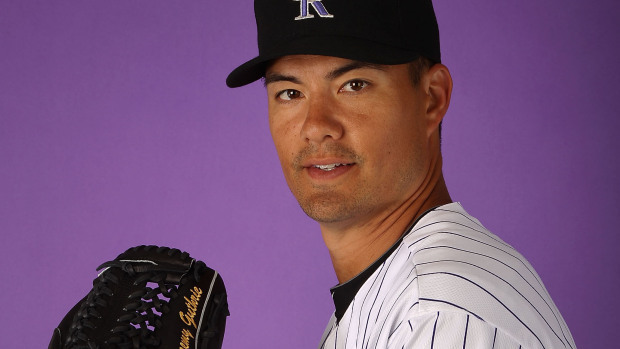 Jeremy Guthrie is a former MLB pitcher who has been called to serve as a Mission President in Houston Texas. He will be leaving July 2018 with his wife, Jenny Guthrie. The LDS Church just recently called 111 new mission presidents to various missions around the world. Jeremy Guthrie was one of them. He was born in April 1979 in Roseburg, Oregon. He played many sports growing up and was valedictorian in high school. He started his college career at Brigham Young University but later transferred to Stanford as the team’s starting pitcher. Guthrie later played for the Cleveland Indians, Baltimore Orioles, Colorado Rookies, Texas Rangers, Washington Nationals and a few other teams. 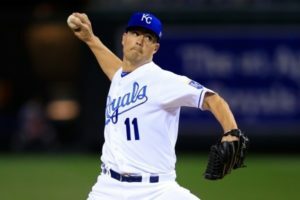 After a 15 year career, he turned down a 1M$ bonus to play with the Mets and decided to serve a mission for The Church of Jesus Christ of Latter-day Saints instead. Guthrie and his wife were expecting to serve as senior couple missionaries. Senior couples serve together working together with the Mission President of the area they are called. They perform clerical duties, teach investigators, instruct institute classes, speak at firesides, and provide service for anyone in need. However, the Lord had bigger plans for the Guthries. Guthrie had only been retired for one year before he was called as a mission president. Mission presidents manage LDS missions. They manage anywhere between 100 to 600 missionaries serving in a designated area. Their responsibilities are to help missionaries learn how to teach and help others learn the doctrines of the Church. They provide training and meetings. They are responsible for the new converts being baptized into the Church. They not only maintain the health and well-being of their own family, but the missionaries that serve in their mission as well. The mission president of the area receives new missionaries and sends off missionaries who have completed their missions. They also offer support and guidance if missionaries are ill. It is a big calling with a lot of responsibility. It takes the help of the wife as well. The wife bolsters her husband up as they work together to lead the missionaries of their area. Jeremy, along with his wife, is expected to serve for 3 years. They have three kids that will be going along with them. An interview done by the Deseret News reports that they are very excited. The Guthrie’s are looking forward to this next step in their lives. They have said that everyone has been so supportive. It’s not typical that a young 38-year-old is called as a mission president, but they are excited to step up to the plate. ARE YOU THE SAME ELDER GUTHRIE WHO SERVED A MISSION IN THE NEW ZEALAND CHRISTCHURCH MISSION WITH PRESIDENT BAXTER AS MISSION PRESIDENT AND PAUL LEKIAS AS THE AP? IF YOU ARE THIS PERSON, GET IN TOUCH AS I SERVED MY MISSION THERE AND HAVE LOST TOUCH WITH ALL COMPANIONS.